Maybe you were thinking, if there is zunyite-twin on matrix available as well. Yes, it is! It took me a lot to get this one, only two twins were available, and just this one on matrix. The photo doesn't judge the specimen. 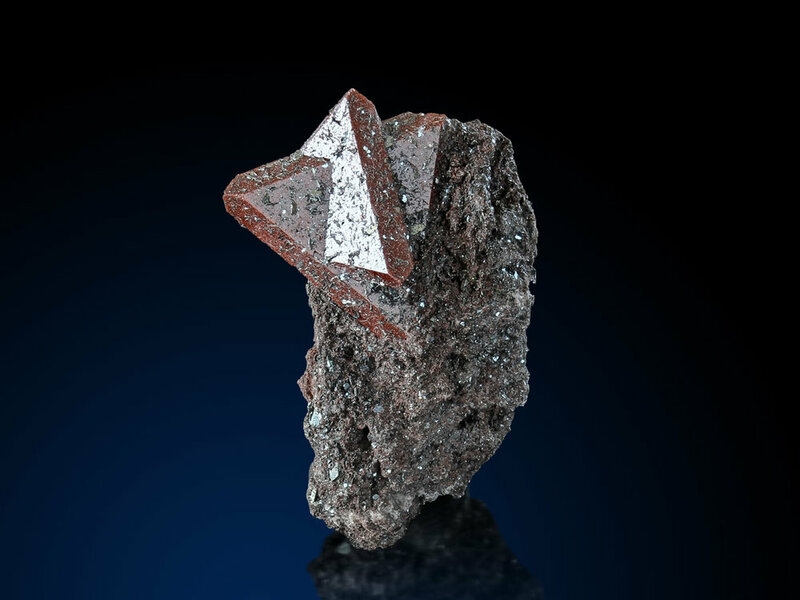 The twin is 1,5 cm large (very huge for this mineral) and perfect terminated - nothing is missing. Be sure to get something very fine.